At Skyline we’re committed to nurturing the spiritual development of children and youth by equipping them with the tools they need to discover faith-filled answers… for themselves. Our mission is to advocate for children, youth, and families in all areas of church life, and partner with our preschool and other area CYF groups. 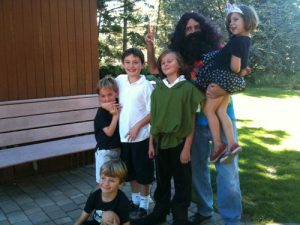 Our multi-dimensional programming, facilitated by our expert teachers, seeks to meet each child wherever they are on their faith journey. An open-minded, progressive approach to scripture and tradition – without indoctrination — can inspire a love of God and growth in the Christian faith. Jesus’s life models compassion, justice, faith and love for us all and serves to guide, inspire and enrich our children’s lives. Social justice is an integral part of the Christian faith – we’re all the hands, feet, and face of God. 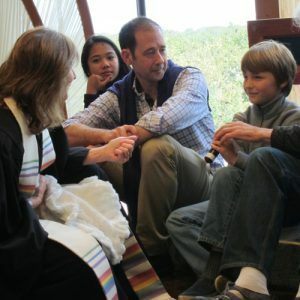 On most Sundays, our children participate in age-appropriate programs that promote togetherness, foster compassion, and facilitates exploration of their own spirituality. We also offer Family Worship opportunities throughout the year. Infants and toddlers are welcome to remain in worship or join our church school program after children’s time. Children begin their Sundays in our 10:00 am worship service. Following a segment called Children’s Time, they are escorted to age-appropriate, engaging programs, facilitated by our teaching team. Your child will meet you after the service in the Friendship Room, where coffee hour is held. Beyond our core programming, we have many ways for children, youth, and families to connect with our Skyline community. Sing in our Sunday morning choir and experience greater harmony! Participate in our many social or environmental justice partnership organizations in our neighborhood and beyond. Sign up for one of our service and education opportunities. We offer opportunities that are appropriate for families as well as youth-specific trips. Check out our many groups and the events they put on an see where you fit in. Discover our camp opportunities – Outdoor Ministries at UCC’s Camp Cazadero. Learn more about our CYF Director. During activities, we may take photographs or videos in support of SKYLINE and its mission.